Chris PA2CHR en Jos PA3FYC zijn in april 2019 vanaf Anguilla Island via de maan qrv op 3 banden. 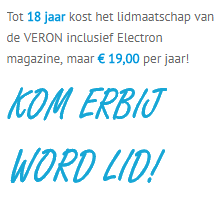 De heren publiceerde vandaag onderstaand bericht. Op de VHF-dag in Apeldoorn 23 maart a.s zal Chris PA2CHR een lezing geven over hun laatste Guatemala DXpeditie. We like to inform you about our upcoming DXpedition to Anguilla Island. QRV on: 144 / 432 / 1296 MHz in JT65 and CW. We listen on our own echo on 70 and 23cm. and hope to be online at the HB9Q logger. Online log available on QRZ page PA3FYC. We will publish a timetable very soon so you can see what frequencies will be used during our stay. Only difference is a new and tested 70cm. X-pol. antenna. Fortunately we found an apartment in the quiet north part of this very exclusive ‘touristic’ Caribbean area. In case of a power failure there is a big generator waiting for us J Let’s hope for not too much QRM in this place. The total weight of our luggage is over 180 kg. which means a lot of overweight. This trip is again a big challenge and we hope for some support. Please don’t forget to mention your call ! All sponsors will receive a direct QSL. Please spread this info to other active stations on 2 meter, 70cm. and 23cm. if possible; many thanks ! 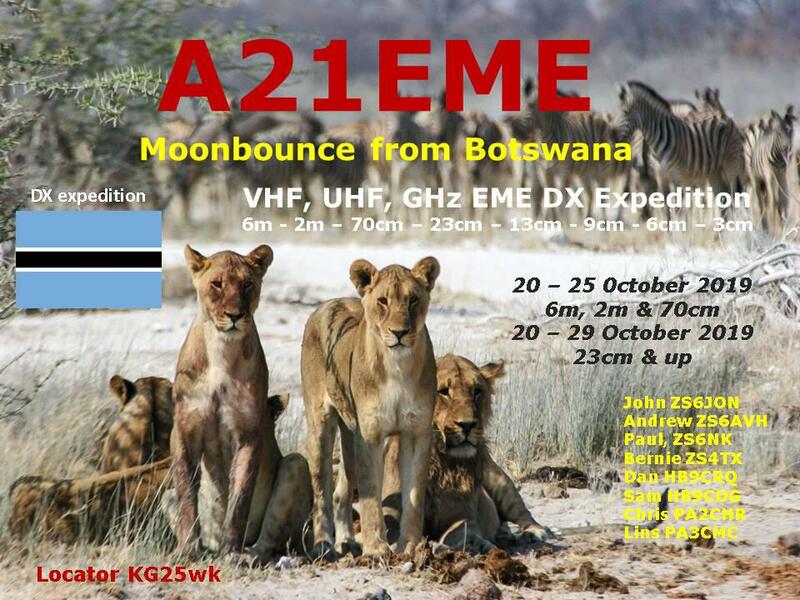 Lins PA3CMC meldt een 8 banden moonbounce dxpeditie naar Botswana. 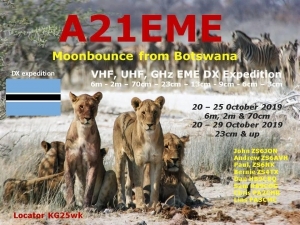 From 20 october – 25 october 2019 6m, 2m, 70cm EME. Mode JT65 and CW. PSE NO IRC’s NOT Accepted here. All sponsors automatically recieve QSL direct.